It is trying to avert three days of consecutive strikes this week. It was confirmed on Monday afternoon that the Labour Court is to intervene in the nurses’ strike. 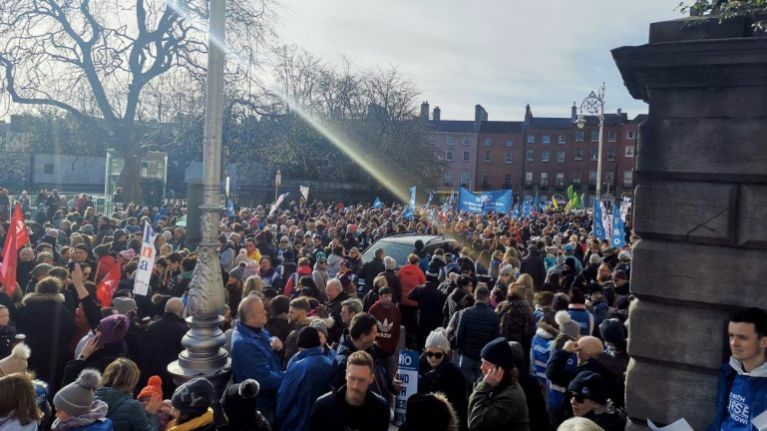 Talks at the Labour Court over the weekend between the Irish Nurses and Midwives Organisation (INMO) and government negotiators ended at about 3am on Monday morning. The Court reflected on the positions of both parties and decided there is sufficient scope for it to intervene in the dispute. The Labour Court has invited unions and management to a hearing at 3.30pm on Monday afternoon. Its intervention is aimed at trying to avert three days of consecutive strikes this week by more than 40,000 nurses.